are 90 homes for sale in Olathe KS with an asking price between $165,000 and $182,000. 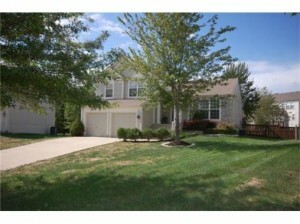 Since August 20th, 2009 132 Olathe homes in KS have sold between $165,000 and $182,000. This is the hot price range in Olathe right now. If you have a home in Olathe KS in this price range you, please contact me at ken@kansascityrealestate411.com Seller advantage based on supply and demand. are 111 homes in Olathe KS with an asking price between $182,000 and $200,000. Since August 20th, 2009 139 Olathe homes in KS have sold between $182,000 and $200,000. This is the hot price range in Olathe right now. If you have a home in Olathe KS in this price range you, please contact me at ken@kansascityrealestate411.com Seller advantage based on supply and demand. sold with a selling price between $200,000 and $225,000. This is the hot price range in Olathe right now. If you have a home in Olathe KS in this price range you, please contact me at ken@kansascityrealestate411.com Seller advantage based on supply and demand. sold with a selling price between $225,000 and $265,000. Nearly a neutral market, slight seller advantage. sold 225 with a selling price between $265,000 and $350,000. There are more sellers than buyers so the advantage in this price range goes to the home buyer.
. Buyer advantage for this price range in Olathe. Buyers in the price range may also be considering homes in Overland Park KS and Leawoood KS. in Olathe, KS at the $500,000+ price point. Buyers in the half million dollar plus price range are probably also considering Luxury homes in Leawood Kansas, Overland Park Kansas or possibly Mission Hills Kansas. Definate buyer advantage in this price range.
. Seller advantage in this price range as demand is exceeding supply. The stimulus package is creating artificial demand, but hey, at least homes are moving. Buyers in this price range looking for a short commute to downtown Kansas City might also be considering homes in Roeland Park. How much is your Olathe Kansas home worth?